In recent years, is an established practice whereby companies collecting overdue receivables to credit institutions and other corporations use civil proceedings to collect debts from the payers, but deviate claims brought against them, citing the arbitration clauses supposedly signed a contract between the debtor and the original creditor. Judges require the use of arbitration, even debt collectors can not provide copies of arbitration agreements. For example, in a lawsuit the company collector did not have a copy of the original agreement, signed by the creditor Citibank, and instead submitted a contract between the bank and the lawyer representing the collector claims. Cases that are terminated due reference to the arbitration shall be filed by the debtors themselves or through collective action against companies gatherers for violations of the law. In such a case the debtor claimed that the company is a leading collector's cases in Maryland, USA, although not licensed to collect debts there. In another case, the applicant states that the firm collector sue him for making, although it is already time-barred. 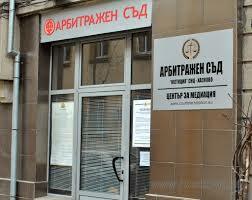 Lawyers, specialist in consumer law, criticized this method of protecting the collectors as illegal, while other lawyers define it as easy and efficient collectors of debts to avoid lawsuits from consumers.